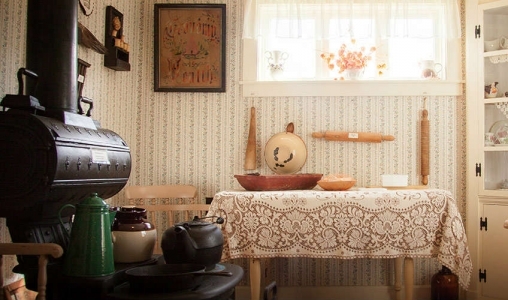 Lucy Maud Montgomery, author of Anne of Green Gables, was born in 1874 in this modest white and green house, decorated with authentic Victorian period pieces and overlooking New London Harbour. Special exhibits include the replica of the writer's wedding dress and personal scrapbooks containing copies of her many stories and poems. Browse through our books and gift selections.